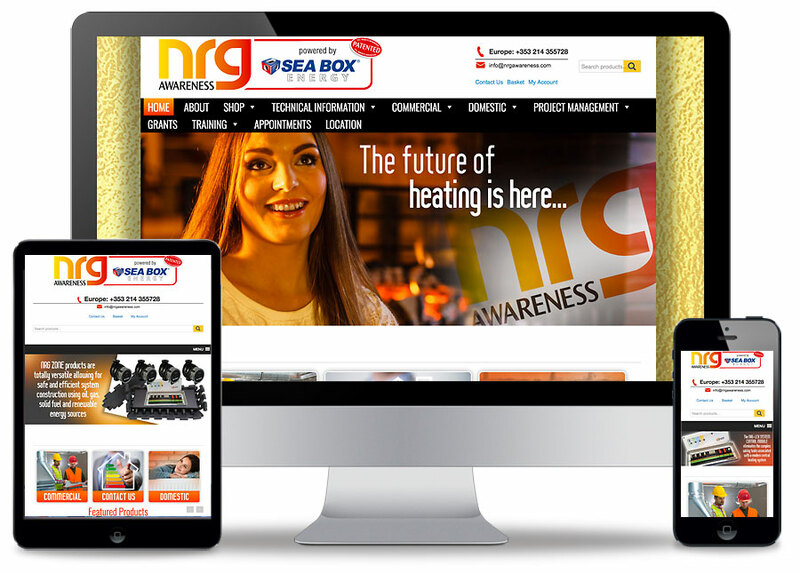 The NRG Awareness powered by Sea Box Energy website was designed and built by Sixmile Design. This outstanding heating company, based in Cork, design and build heating systems and sell their own designed heating system products. The website is an eCommerce site, selling the NRG Awareness patented products on the market today and is also a great heating system resource for engineers in it's own right whether it be for Commercial or Domestic applications. Any interested party can also make an appointment through the appointment system setup on the website. Sixmile Design also designed the NRG Awareness branding material including stationery, exhibition systems and digital presentations.